Yup, I put cookies in my waffle batter. And now, I want YOU to put cookies in your waffle batter. 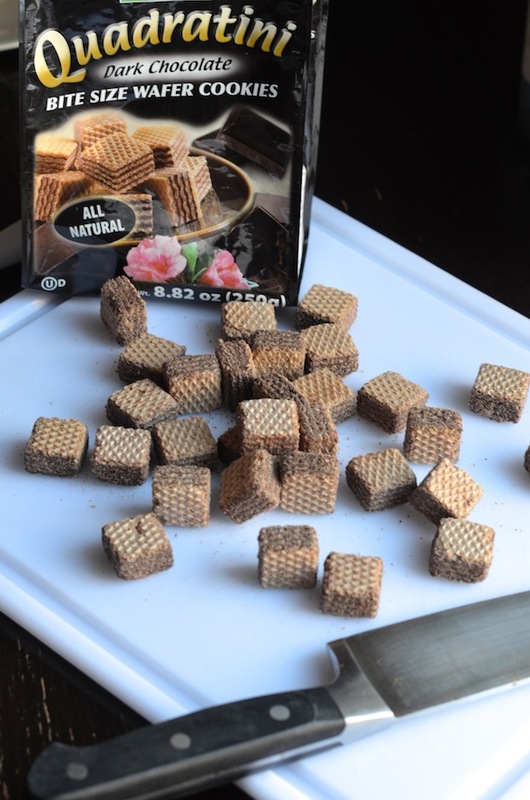 Earlier this month, I was contacted by the folks at Loacker--the brand behind these amazing little bite-sized Italian wafer cookies that I've been obsessed with for a while. They were planning a recipe contest, and wanted to know if I'd be interested in taking part. 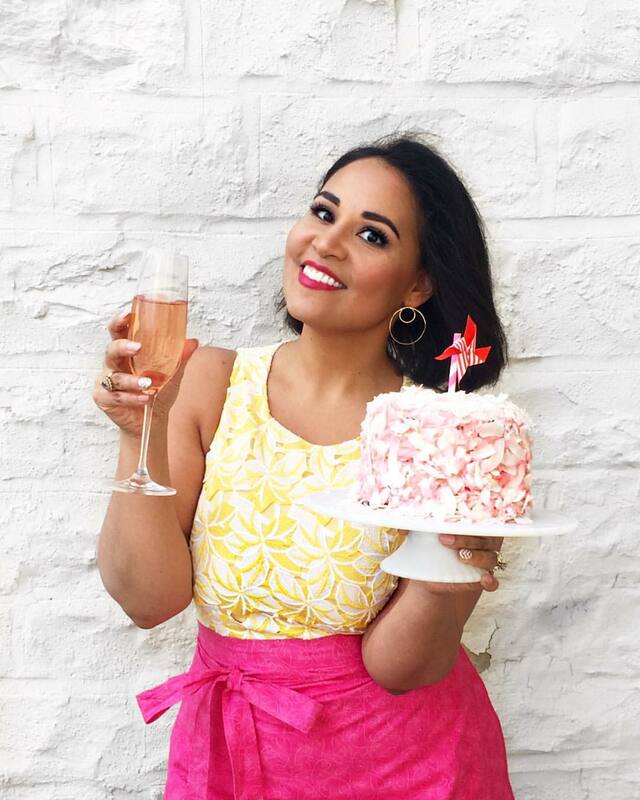 I'm not usually super into recipe contests, but I was in a bit of a cooking slump and thought it would be a fun way to force me to get creative. So I said yes, and waited for my supplies to arrive. The brand sent me one bag each of three of their most popular flavors, and I got to work. And then I heard this loud beeping coming out of the kitchen. Thinking it was a fire alarm, I ran in to see what the fuss was, when I noticed that I'd somehow accidentally turned on my waffle iron while wiping down the counter, so it was beeping to let me know that it was ready to cook. You guys...the waffle iron was basically talking to me and telling me to make waffles. So I did! Cookies & Cream Waffles, to be exact. I decided to use the Quadratini Dark Chocolate cookies, which are layered waffle cookies filled with a dark chocolate cream. Chopped up into small pieces (think chocolate-chunk-sized), they were perfect to fold into a creamy, vanilla-scented batter. And the results? SO SO good! 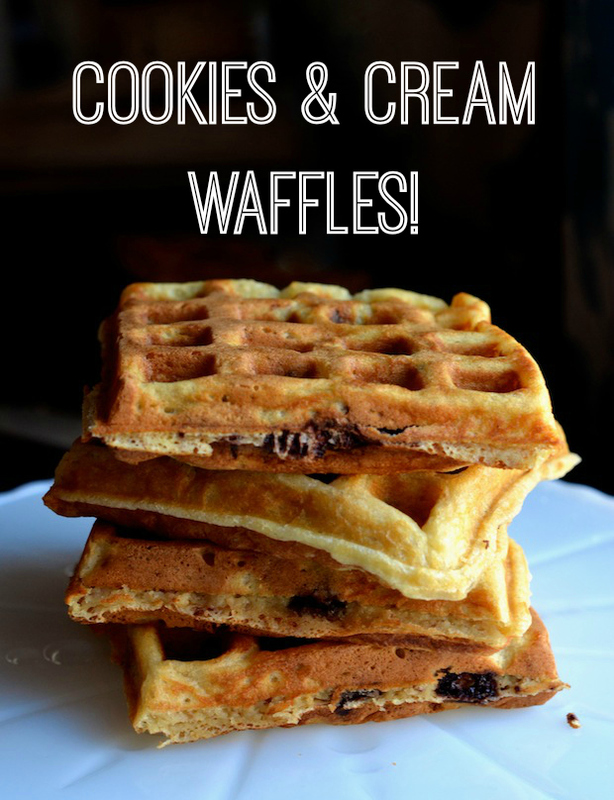 The waffle is light, sweet with the perfect amount of vanilla flavor, and the little chunks of cookies add a delicious crunchy chocolate surprise with each bite. These are fun dessert waffles, and I actually prefer them served plain, but I wouldn't get mad if you drizzled a bit of syrup on top. Do you like this recipe? 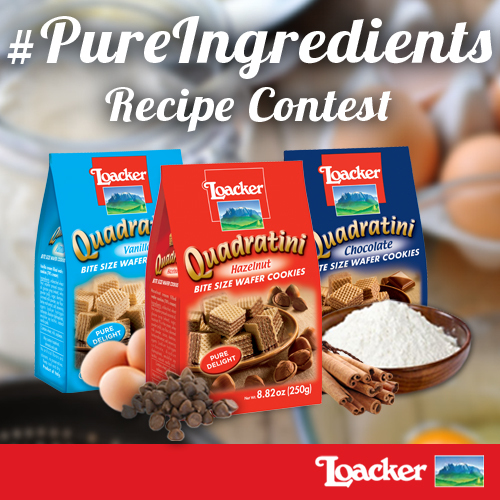 It would be so cool if you could please pin one of these images from this post and include the hashtag #pureingredients--that's how the folks judging the contest will be able to tell who the winner is. And be sure to let me know how you like the recipe! Want to try these cookies for yourself? Click here for a coupon on your next purchase of Loacker cookies. You can also follow Loacker on Instagram or Facebook to learn about other fun contests and discounts. Preheat your waffle iron. Use a knife to chop wafer cookies into 1/2" pieces. Set aside. In a separate bowl, whisk together eggs, buttermilk, vanilla extract, and butter. Pour wet ingredients in to the dry and mix just until combined. Fold in the chopped cookies. Prepare waffles in waffle iron, according to your manufacturer's instructions. 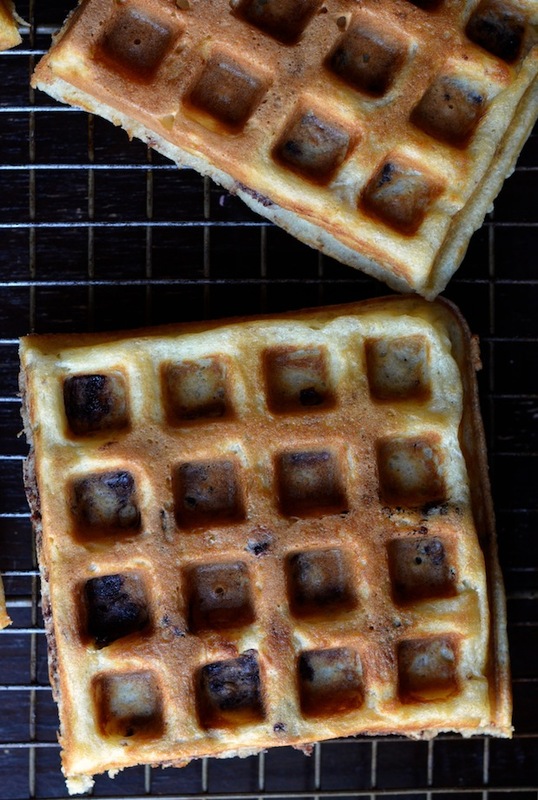 Serve immediately with your favorite waffle toppings.